Over the last week or two, I have been talking on facebook about my youngest daughter Chanel. She’s our fashion conscious style guru here at home. She has an eye for detail and a love of all that relates to fashion – clothing, hair, make up – oh and accessories! You should see her looming! Last weekend we went down to Brisbane to celebrate three birthdays, and our Chanel was one of the guests of honour. You can only imagine how excited she was to be ‘a guest of honour’ – and as you can imagine her thoughts were on what she was going to wear, and how she was going to wear her hair. I’m not kidding when I say that her ‘party’ preparations started days before the actual event. She decided, ‘casual-glamourous’ (Chanel’s words). She wanted her hair curled and just a touch of lip gloss – but comfortable clothes. 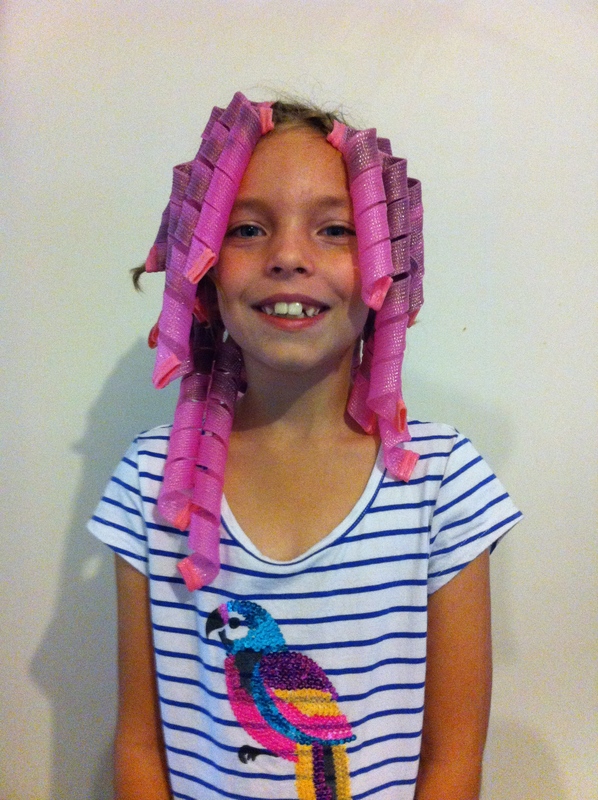 I picked up these simple to use curlers at Cosmetic Plus (We have 4 packets of the pink – 2 small and 2 large – a packet comes with 8 curlers) for her birthday, and so we experimented to make sure she was going to get her desired result. I must admit that I am quite impressed with the outcome. They really create a long lasting curl. Chanel decided she would see how strong the curl would be if she washed her hair on the Saturday lunch time and we put them in her hair to wear overnight. We took the curlers out 10 minutes before we were to leave for Brisbane on the Sunday morning (around 10am). We achieved the goal. She had super curly hair for her party. I can only imagine Chanel in the coming years. She’s eight going on 16 in some respects. She believes that she has to be ‘fashionable’ and ‘cutting edge’, because her name is ‘Chanel’. She says, “Its deep within me Mum. I can’t help it – I just can’t let the name Coco Chanel down”. I need to tell you – we did not name her Chanel so that she would become the next Coco Chanel!! Even when Chanel was two, she was telling me what she wanted to wear. She had an eye for detail. I realised at that point that calling her ‘Chanel’ may not have been the best idea. I felt as though this little girl had morphed in some way into the fashion icon. The fashion diva is in our Chanel’s her very being. 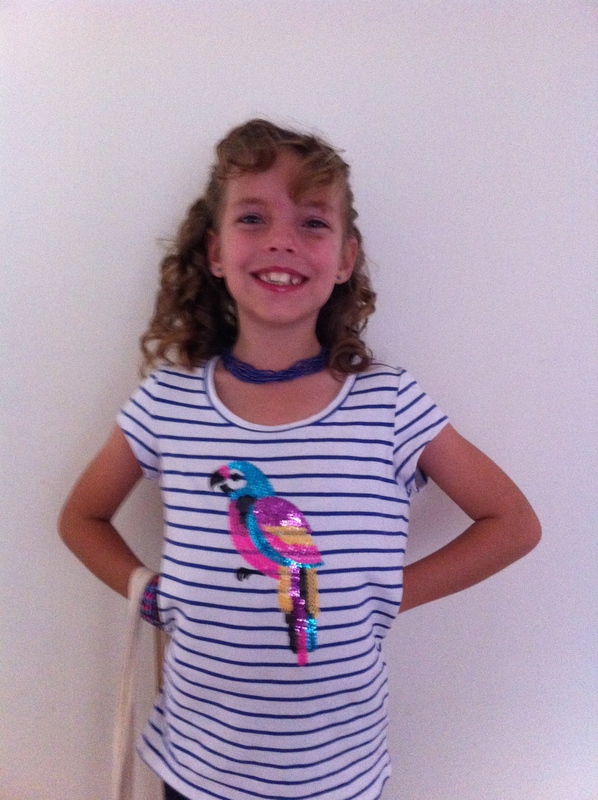 Our Chanel can describe her plans for her future in great detail – and she is only eight. Its funny how passionate some kids are about their future, and yet there are others who have no idea what they’d like to do when they get older. I don’t want the years to fly past us, but I would love a glimpse into the future – just to know how things work out. We may have called her Chanel, but it was a few months later that we realise that she is in fact, our Chanel #5 (she is the 5th member to our family). She thinks this is pretty special, and I must admit that I do too. chanel, fashionable Chanel, fashionably Chanel, kids who know what they want, kids with a purpose, morphing into Coco Chanel, naming our children, passionate kids, whats in a name?